About four years ago we stopped in at Queen Mary Falls on our way home from a trip to Stanthorpe. We put it on our list of places to visit again but until now had never had the chance to get back out there. Just a little over a two hour drive from Brisbane or the Gold Coast, Queen Mary Falls is one of the most picturesque spots you will find. 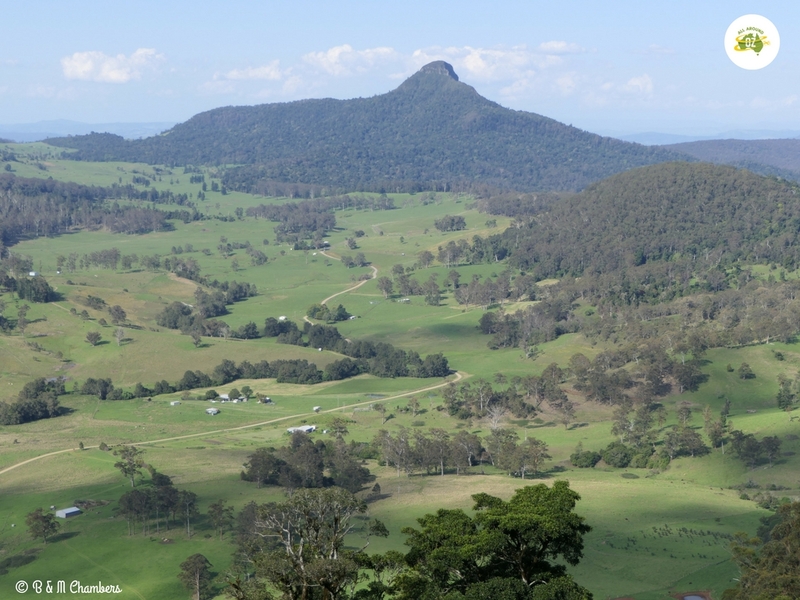 Once you leave Boonah and turn onto Carney’s Creek Road the road becomes narrow, windy and steep. It is not recommended for caravans, although we have previously travelled down it towing our camper trailer and we did pass a couple of vehicles with camper trailers on going home. 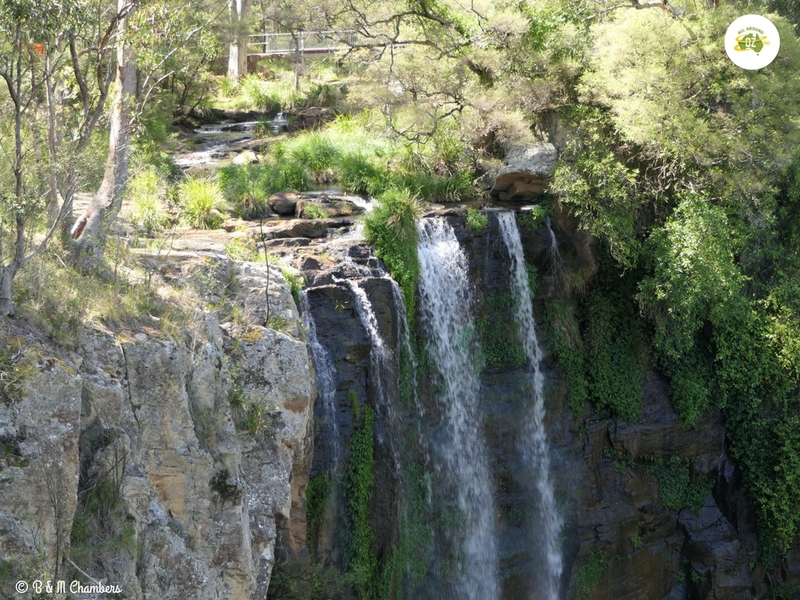 Queen Mary Falls are located within the Main Range National Park. A short 11 kilometre drive from the small town of Killarney, these falls are truly spectacular. To access the falls there are two walking tracks. The two shorter ones lead firstly to the top of the falls where there is an awesome viewing platform. The longer track takes you down to the bottom of the falls and unless you like climbing up lots of stairs, I suggest you take the track to the left of the picnic area and walk in a clockwise direction. The stairs and the pathways are well-formed but the whole walk will still take you about 45 minutes to complete. You should have no trouble on this walk if you have a moderate level of fitness. The top of the Queen Mary Falls from the viewing platform. There is something really special about being able to view a waterfall from the top and the bottom. Queen Mary Falls were definitely one of the prettiest I have seen. The whole area around Queen Mary Falls is lovely and there are plenty of other spots where there are waterfalls, picnic areas and camp grounds. Just a short drive along Spring Creek Road towards Killarney you will find Daggs Falls. A small viewing area gives you uninterrupted views of these pretty falls. 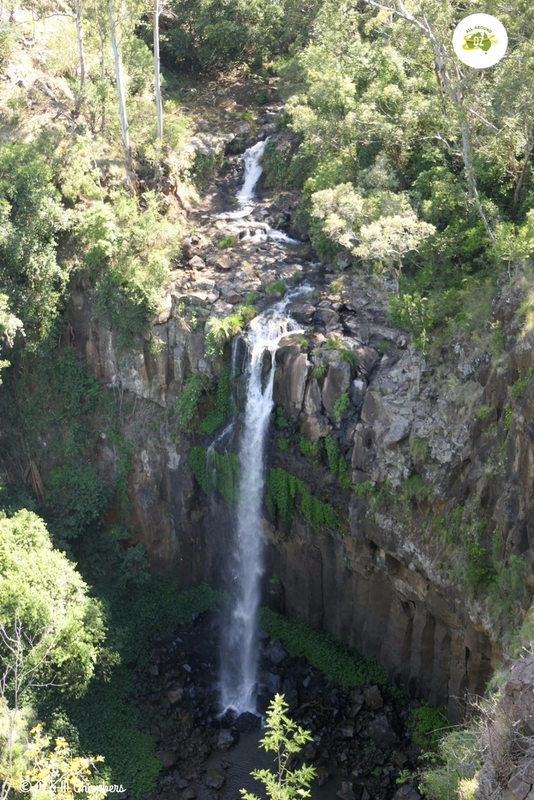 Just a short drive south-west of Queen Mary Falls you will find the spectacular Daggs Falls. Continuing along Spring Creek Road you will come to Browns Falls. There is an awesome picnic area there, a small playground and new, clean toilets. There is no formed walking track to Browns Falls only red, reflective markers to guide you. A creek will need to be crossed a number of times and this will only be achievable if there is not a lot of water around. We walked about 200 metres up and found that we could get no further as there was a fallen tree and thick black mud. Maybe next time! It was along Mount Lindsay Road that we found the Koreelah National Park and a fantastic camp ground. Located right on Koreelah Creek, there are plenty of spots to camp and toilets as well. Swimming is permitted in the creek and there is a short walking track leading to a small waterfall. Would have been a really peaceful spot to spend a couple of nights. 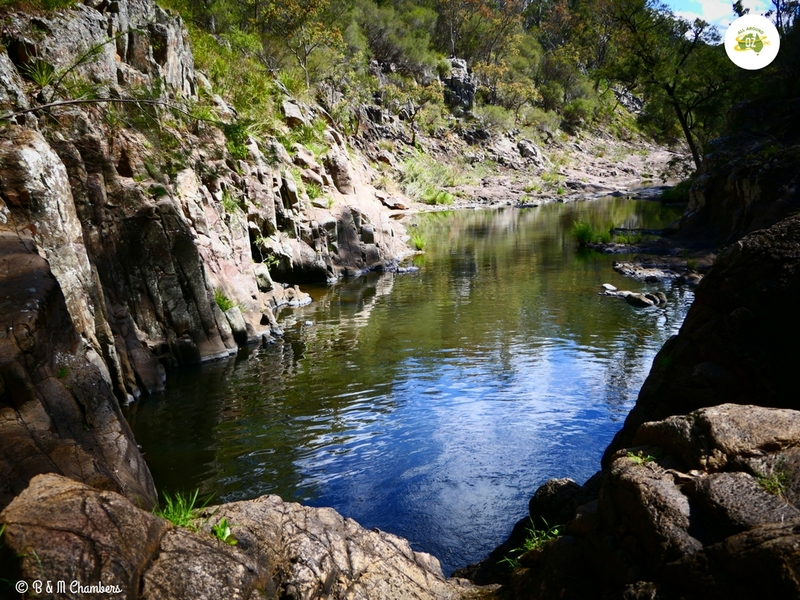 Korrelah Creek in the Koreelah National Park would be a top spot to camp. Most of the surrounding country side is farming land and we saw lots of cows and rolling green paddocks along the way. Another great spot to stop is Carr’s Lookout. Spread out below are the foothills of Wilson’s Peak. You can also learn a little bit about a tragic plane crash that occurred in the mid-50’s. Legend has it that a dog was found at the crash site which was in remote bush land. No one knows if the dog was actually on the plane. Carr’s Lookout is a great spot to stop and take in the view. Of course no trip to Queen Mary Falls would be complete without driving this awesome 4WD track. The track crosses the Condamine River a total of 14 times. The track is not overly challenging (in our opinion) and would be a great place to start learning about river crossings. An added bonus is the beautiful countryside along the track. Plus there are plenty of spots to stop for a picnic or maybe even a swim in the river. 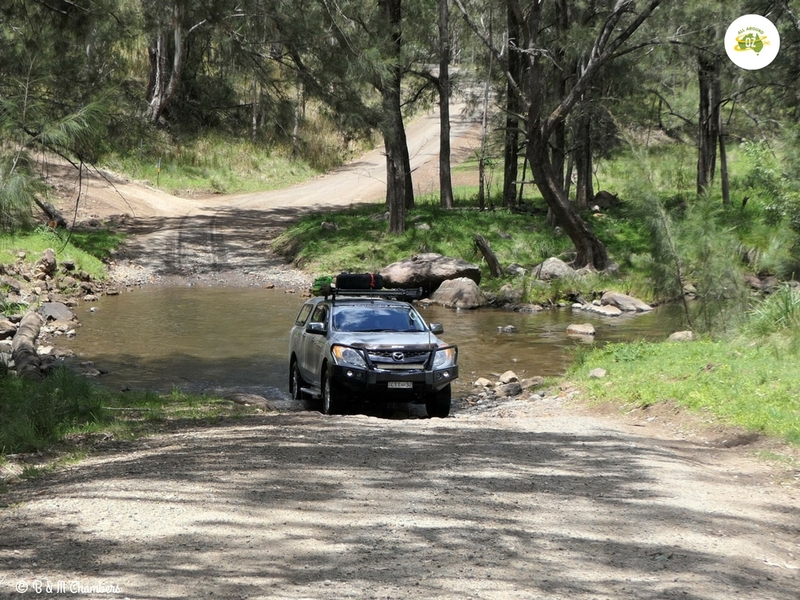 Driving along the Condamine River 4WD track is awesome fun. We stayed at the Queen Mary Falls Caravan Park. There are other accommodation options available in nearby Killarney. This looks such a pretty area. And only 2 hours from Brisbane. We have family in Brisbane. We always love to visit waterfalls and this looks a great place to visit. The waterfalls look spectacular, particularly Daggs Falls. You would love it then…I’m thinking the waterfalls would be even better now that we have had a bit more rain. Looks like a great spot for a Sunday Drive. I have been to Stanthorpe, but never thought about the places in between. I will have to check this place out. Make it a weekend…it’s just such a lovely area. Worth the stay.